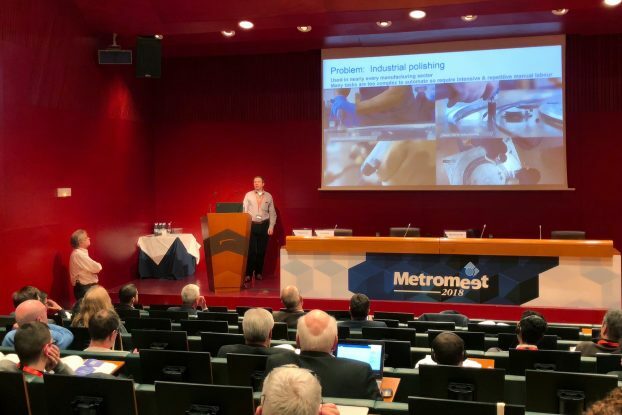 Last week our partners from QISAB and Autodesk presented SYMPLEXITY project on the 14th International Conference on Industrial Dimensional Metrology – Metromeet. In their topic “Inspection Enabling Human-Robot Collaboration”, Lars Baath (CEO and founder of QISAB) and Philip Hewitt (Autodesk Product Manager) talked about the metrology solution that was developed by QISAB and Autodesk and is used for SYMPLEXITY. This is another example of the great cooperation between the project partners.